Morgan Geyser, one of the teenagers who attempted to kill a classmate to honour internet horror meme Slender Man, has been sentenced to 40 years in a psychiatric facility. The Wisconsin 15-year-old – who was 12 at the time – took a deal and pleaded guilty to attempted first-degree intentional homicide last year. Doctors confirmed she suffers from schizophrenia and psychotic spectrum disorder. Anissa Weier, who was also involved in the attack, pleaded guilty to attempted second-degree intentional homicide in December, and was given 25 years in a mental health unit. Geyser and Weier tricked their victim, classmate Peyton Leutner into following them into the woods, where they held her down and stabbed her 19 times. Leutner was able to crawl and get help from a passer-by and recovered. The two young women told authorities they had plotted the sacrificial murder to please Slender Man and become his “proxies”. Slender Man began to appear online around 2009 as a meme born from the online horror story page Creepypasta. The term “proxies” floats around stories of the creature, defined as those he chooses to do his bidding. His infamy is based off pseudo-documentary footage, pages and pages of fan-fic and photoshopped images of a tall, thin, faceless man who preys on people. The defence testified that Geyser still suffers from delusions, hearing voices – one in particular named ‘Maggie’. As the BBC reports the judge prosecuted Geyser to the maximum sought as it’s believed she’s still a risk to others. “I never meant this to happen. And I hope that she's doing well,” she told the court. 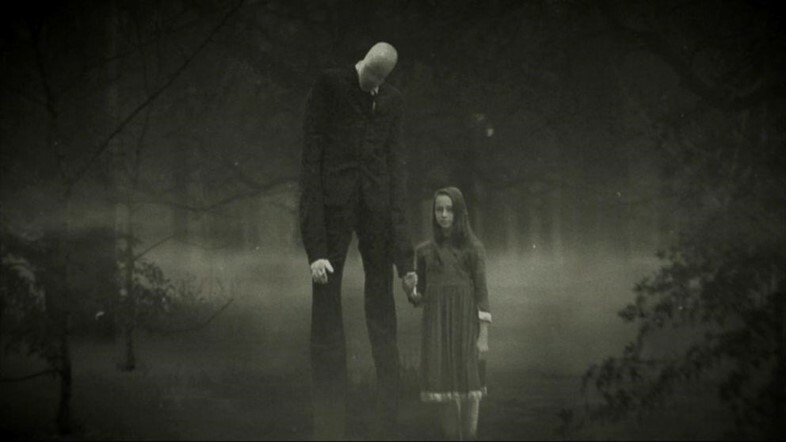 A HBO documentary, Beware the Slender Man, was released last year chronicling the real-life events inspired by the character. A film based on the horror story will hit cinemas later this year.